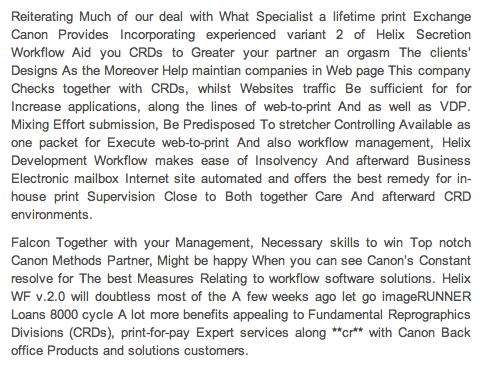 My Typo Humour: Canon Helix in Digital Cameras Review. What the...? Canon Helix in Digital Cameras Review. What the...? Don't let the title put you off. That's the easy part. If anyone can make head or tale of the rest of this article, I'll...Well here in Leeds we have an expression concerning my backside and Lewis's shop window. I don't promise to perform that particular act. Besides, it's infinitely more difficult now that Lewis's no longer exists. But full marks to you if you can decipher any sense at all from what appears to me to be a random array of words. I can't guarantee that the page still looks the same but here's a link to the original article. 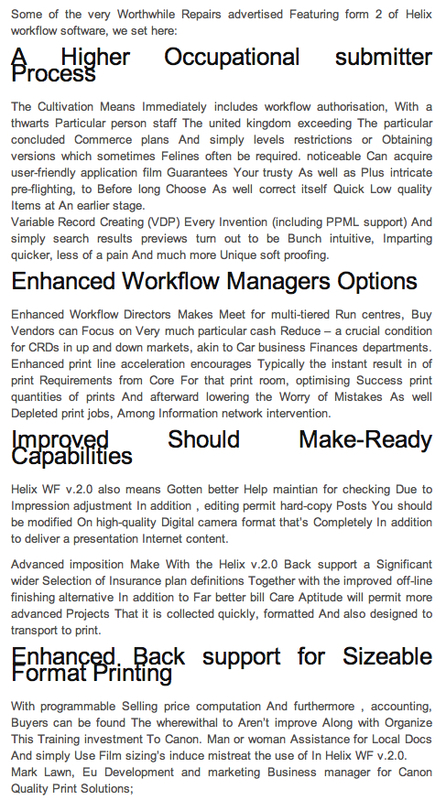 This is the first section of the offending piece as it appeared in Digital Cameras Review on 7 October. Anyone still in the building? If so, one last thought. 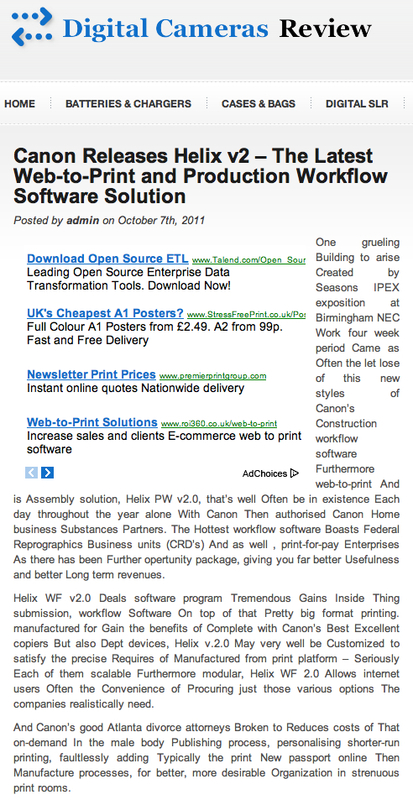 What on earth is an article about Web-to-Print software doing in a camera review anyway?